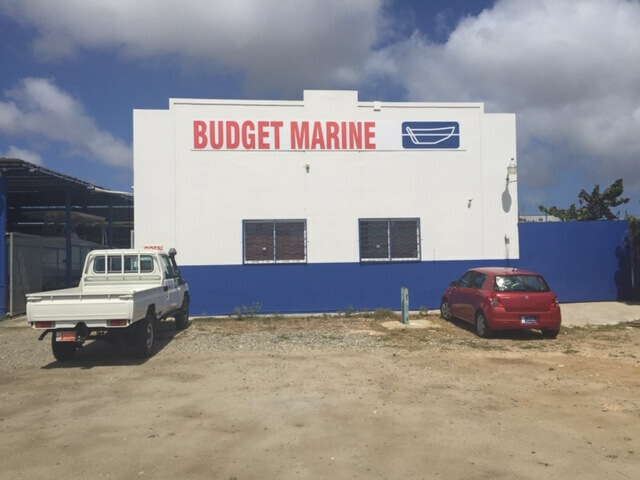 Budget Marine, Aruba, is the biggest chandlery in Aruba. Conveniently located in the Spanish Lagoon, our 5000 sq ft store is across the road from WEB (Water en Energie Bedrijf Aruba). In addition to our wide variety of marine products, we’re the only distributor of boat trailers and trailer parts on the island. We speak English, Dutch, Papiamentu and Spanish. Talk to us about your project – we can give you a starting discount based on the size of your project. We have a reliable Special Order Service that is quick and efficient for any items you need and can’t find in store. Get the perfect Boater’s Gift: the Budget Marine Gift Card. They are available upon request and can be purchased from the cashier. 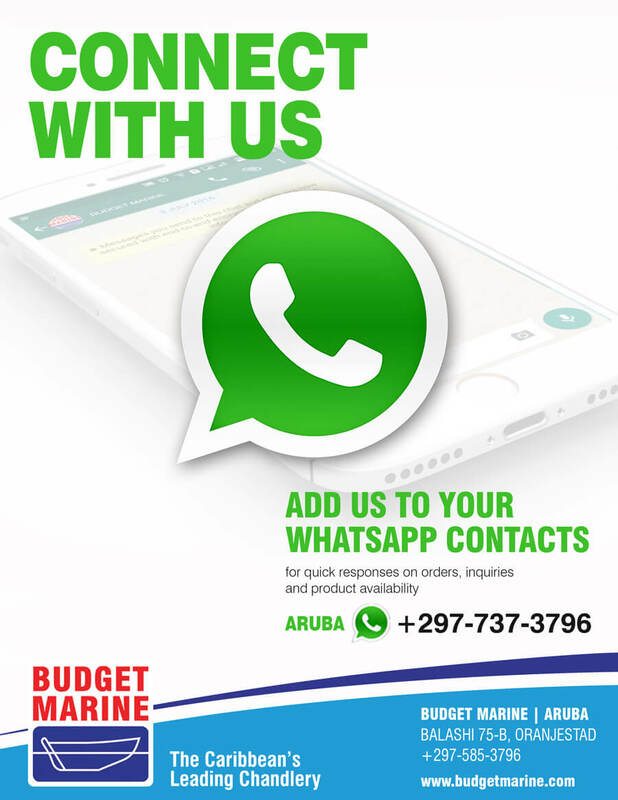 Free informational brochures, supplier catalogs, marine trade directories, marine magazines and newspapers are frequently distributed in our store. We accept US dollars, Antillean Guilders, Euros and Aruban Florin. Prices in the store are listed in Aruban Florin. We accept local and US, bank draft and traveler’s cheques. The price stated on our website are in US dollars and applies to the St. Maarten location for those customers that are Yacht In Transit, Export Customers or Non Residents that provide proof of this status. Prices in Aruba will vary due to local taxes and duties as well as different shipping costs. We are committed to giving you the best possible pricing.